Grow your own mini orchard - whatever size your garden. The ‘perfect for patios’ Orchard Tree Collection - ideal if you don't have the space for full-sized trees. Bred specially to produce bumper crops on a miniature habit, fruit from each tree are super-sweet and packed full of succulent juice. Through clever breeding work expert growers have created dwarf varieties so anyone can grow their own fruit – even on a balcony. We’ve put together these three trees to give you a wonderful collection of sweet and juicy stoned fruit that will produce peaches, apricots and cherries to be proud of – all on your patio doorstep! 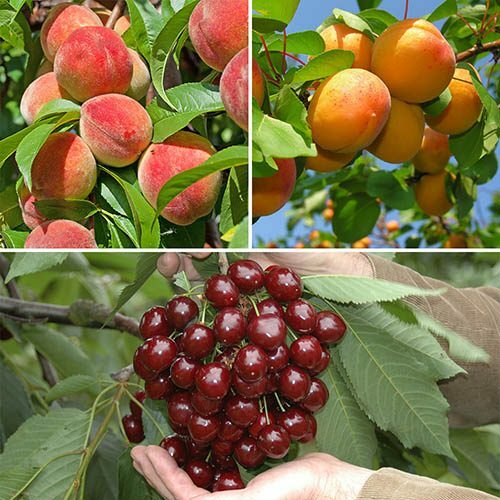 You’ll get one each of the following varieties: Peach ‘Redhaven’, Apricot ‘Early Moorpark’, Cherry ‘Stella’, supplied as bare-root trees. Have you ever wanted to grow juicy fruit in your garden, but just don't have the space? Well now you can – with our ‘perfect for patios’ Orchard Tree Collection! Bred specially to produce bumper crops on a miniature habit, fruit from each tree are super-sweet and packed full of succulent juice. 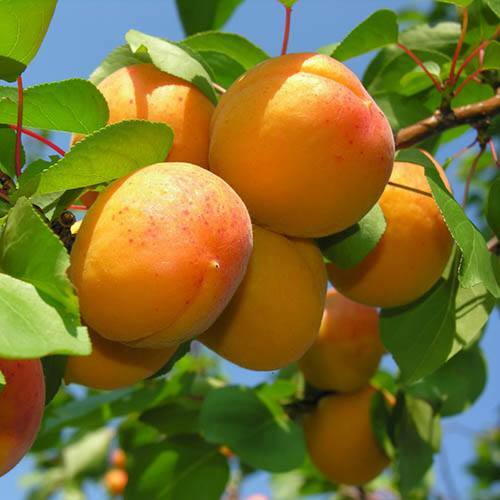 The fruits are perfect for eating straight from the tree or making yummy cherry pies or mouth-watering apricot jam. Through clever breeding work expert growers have created a very dwarf variety, still with the fantastic taste and yield of its parents. This means that anyone can grow their own fruit – even on a balcony. We’ve put together these three complimentary trees to give you a wonderful collection of sweet and juicy stoned fruit that will produce peaches, apricots and cherries to be proud of – all on your patio doorstep! 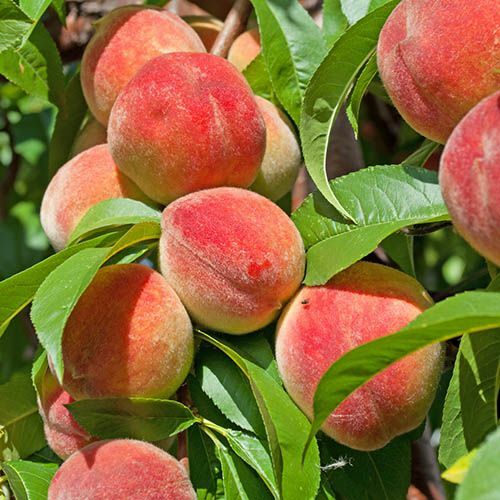 Peach ‘Redhaven’- produces deliciously flavoured, aromatic bright yellow fruits which take on an attractive orange-red tinge when fully ripe and ready to pick in August. Apricot ‘Early Moorpark’ - an August fruiting variety with lusciously sweet yellow flesh that melts in your mouth when you bite in to it. 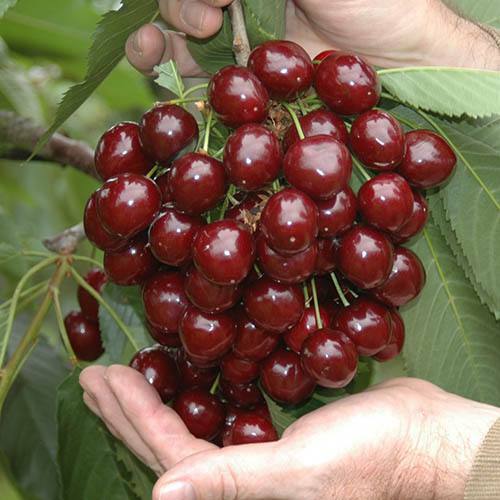 Cherry ‘Stella’ - the UK's favourite sweet cherry with super sweet, plump, juicy and aromatic fruit, ready to pick from July each year. Supplied as bare-root trees, these are dormant, with no leaves, and with the roots out of the soil. Some larger or slower-growing plants will already be a few years old on supply, and ready to thrive straight away in your garden. Don’t let looks deceive you – bare root trees will burst into life in their season! Prompt and efficient even at one of their busy periods. Would be nice if they prompted me about additional offers on the phone when I'm buying something as often when I've just placed an order something comes up on site. e.g. You've just bough fruit trees, there's a fantastic new offer on our 5 in one apple tree.....would you like to add one to your order today?